In the past few decades, the Middle East and North Africa Region (MENA) has made a signifi cant improvement in the fi eld of formal education. Governments across the region have invested heavily in the education sector and over the past 25 years witnessed a rapid expansion in primary, secondary and tertiary education. 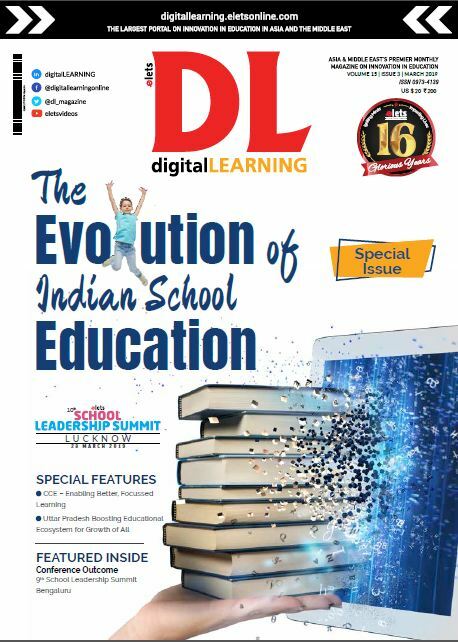 Despite all the development in the education space, the region has a lot of scope to grow in terms of bridging the gap between skill development and job market, writes Rashi Aditi Ghosh to Elets News Network (ENN). The MENA region has made great strides in the education sector, quadrupling the average level of schooling since 1960, halving illiteracy levels since 1980 and achieving almost complete gender parity in primary education. A study by Unicef paints a very positive picture of MENA countries in terms of achieving the goal of universal primary education. Enrollment in the region’s school systems has increased significantly over the past decade to the point where universal primary education has been achieved for girls and boys in most of the MENA countries. Interestingly, unlike the rest of the world, there is a ‘reverse’ gender gap in the region with girls outperforming boys in Grade 4 math results, a trend that generally continues into Grade 8. Also, MENA governments have shown strong commitment to funding public education. The average public investment in education across the region as a percentage of GDP is above 5.3 per cent. Studies demonstrate that the school systems in MENA offer lot of scope for improvement in terms of quality of education. The region exhibits a mismatch between the current level of school education and the per capita income. According to a 2014 report by Booz and Co., the number of private schools in the Gulf Cooperation Council (GCC) is set to double before 2020, reaching as much as 4 million schools, to accommodate the growing population in the GCC, mainly driven by the increased demand created by Saudi Arabia and the UAE. As a result of this, parents seeking higher quality education for their wards are expected to double, reaching as much as $20 billion in 2020, versus what parents spent on their children’s education in 2010. However, one of the key challenges faced while establishing quality schools in some countries such as UAE is the high funding requirement. Typical cost of developing a school with a capacity of 1,800–2,000 students could range between GBP 47 million and GBP 60 million, provided that the land is purchased upfront. In cases where land is leased, such development cost for a quality school could range between GBP 35 million to GBP 42 million (exclusive of fi nance costs). Education investments are typically long term investments contradicting a bank’s risk appetite which typically extends to a tenure that lasts between 5-7 years. One of the major challenges facing operators is the ability to attract and retain quality staff to deliver on the promise of quality educational services. Operators desperate to recruit appropriately qualified staff have prompted a trend of poaching teachers and management staff from competitors. Demographic projections reveal that the region’s youth population (up to 24 years old) will surge by about 10 million between 2015 and 2030. This sudden growth in the youth population will create increased demand for educational services at all levels and will place immense pressure on existing educational institutions. The proportion of tertiary education students is expected to rise from 11 per cent to 15 per cent over the period to 2020, according to Unicef. The region also reflects a requirement of maintaining the balance between skill development and the job market. 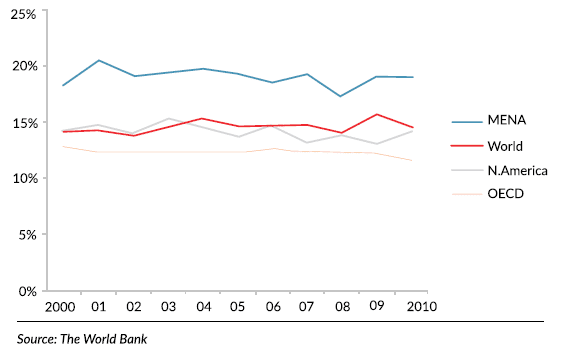 Various global studies have indicated the inadequacy in terms of labour force skills, both technical and soft. According to Bayt.com Middle East Skills Gap Survey – May 2016, employers in the MENA region fi nd it challenging to hire the candidates with the required skills. Education, as a social infrastructure sector, is now seen as a legitimate asset class in its own right, presenting great opportunities for private players in the MENA region. Coupled with high returns on education sector investments, an efficient private school can have around 20 per cent net profit margins. As the number of expats, primarily educated in the Private sector is expected to grow, the demand of Private education will also see a rise simultaneously keeping the demand of local population in mind. Enrollment in private education institutes at the primary and secondary level is predicted to grow from 1.3 million students to 1.9 million in 2020. As per a report by Alpen Capital, by 2020 6,200 additional schools will be required in the region to meet the growing demand, while an extra 163,208 teachers will be needed to teach the increasing number of students. There is strong interest in the education market in the MENA region. This can be attributed to the factors such as long-term revenue visibility (due to the duration of a course), negative working capital (since school/course fee is paid in advance), underserved market (demand greater than supply) and government support. The education sector is recession proof, i.e., it is less sensitive to economic cycles, a major draw after the recent economic crisis. Another opportunity for the private sector stems from the government provision of schooling that tends to be mostly in Arabic and is of low quality. On an average, the MENA region is expected to experience a recurring spend of $29 billion on education over the next couple of years, with Saudi Arabia being the leader as it continues to invest more money in building committed infrastructure in the Kingdom of Saudi Arabia (KSA). The government spends on education in a substantial manner in MENA, with contribution from the private sector being miniscule. Such public expenditure helps in attracting pupil as well as teachers intending to be employed. Data from the World Bank suggests that public expenditure ture on education in the MENA stands at 19 per cent compared to the world average of 14.5 per cent, North America with an average of 14.1 per cent and the Organisation for Economic Co-operation and Development (OECD) with an average of 11.6 per cent. Among MENA nations, public spending on education receives high priority, particularly in Oman, Morocco, the UAE, Tunisia and Saudi Arabia. Due to large disparities in income and population, the rationale for purchasing power parity (PPP) in the GCC and other Arab countries is also very different. For the GCC the rationale for PPP is varied; the private sector is able to deliver projects with greater alacrity than the government, there is greater operational efficiency and quality improvement for education services provided, and, as a potential adjacent benefit, there can be a diversification of local stock markets through the offering of PPP funds through local bourses. For other Arab countries, the main drive is to bring in much-needed funding not available to those governments who suffer from a lack of resources. In both cases, governments, particularly those brought to power by the recent Arab Spring, understand that the provision of quality social infrastructure is a key demand from the populous. However, the PPP model within MENA is still in its infancy, and there are a number of factors that contribute to the slow growth of PPP projects in the region. These include poor legal framework and enforcement, weak institutional capacity and PPP strategies, unrealistic revenue and cost estimations (indicating a paucity of proper fi nancial and economic analysis), inappropriate sharing of risks, lack of a competitive procurement process, and public resistance to perceived pay subsidy removal as government jobs are co-opted by the private sector service providers.